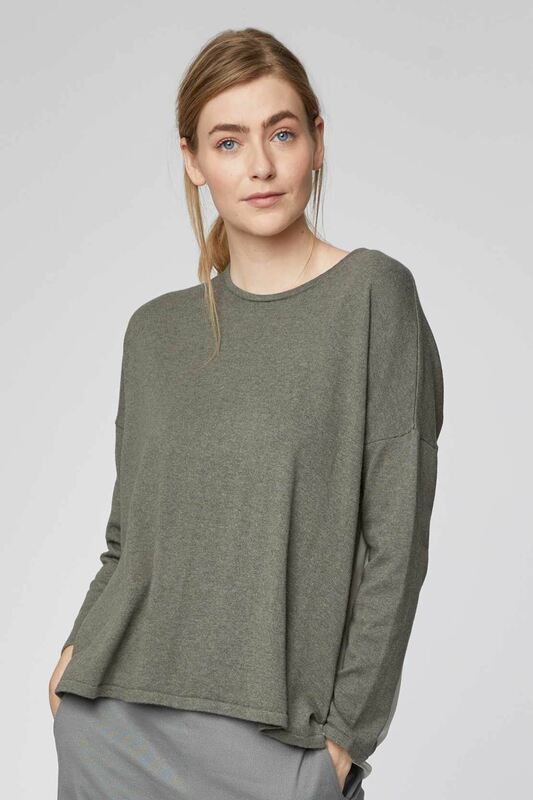 In Thought's luxe organic cotton and wool blend, this simple, relaxed fitting top comes features a woven back panel, and seam detailing at the front. In Thought's luxe organic cotton and wool blend, this simple, relaxed fitting top comes features a woven back panel, and seam detailing at the front. This soft, organic cotton top can easily be paired with your favourite jeans and trainers for a casual, daytime style.